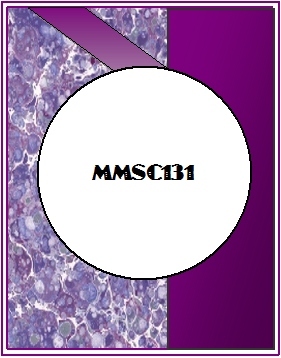 Our MMSC131 Weekly Bonus Sponsor is.. Thank you for your sponsorship America. It is so cool to see a challenge that has such a warm, giving and family feeling to it. Be sure to stop by and check out there challenges each week. The are wonderful group of crafters :) Now to our players... break out those House Mouse stamps, dust them off and show us your lovely creations. All images are welcome, but we would love to see these cute images flood our inlinkz this week!! Have fun with whatever you create for our challenge!! Tags 6x12cm. 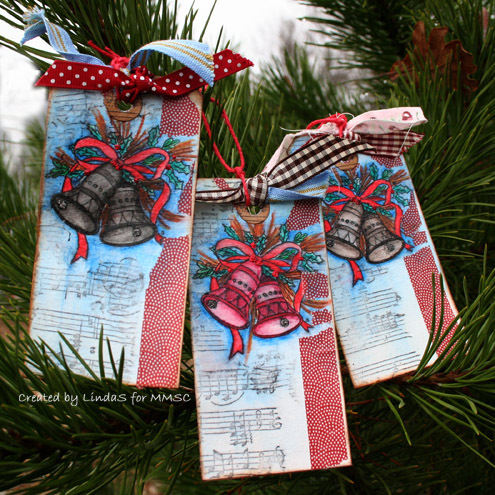 Printed Christmas Bells digi stamp from "priscillastyles" colored with Inktense. Notes stamped on a napkin and glued around the bells and finally did I add some red washi tape and ribbon. 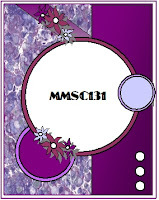 Stampin' Sisters in Christ #116 - Make a card of praise using music, stamp, or design paper, or just the word "praise." For filan da Linda, de er flotte de tags!!!! :-) Du er bare suveræn til at male!! Oh Linda these are just gorgeous!!! Your coloring is amazing ... love the blue hue around the bells ... PERFECT! !